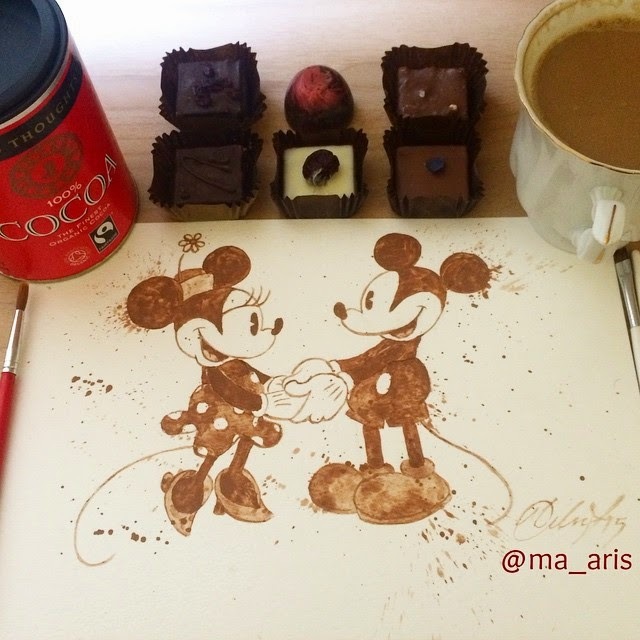 Maria A. Aristidou is a Commercial Artist and Illustrator working out of the UK and Cyprus. 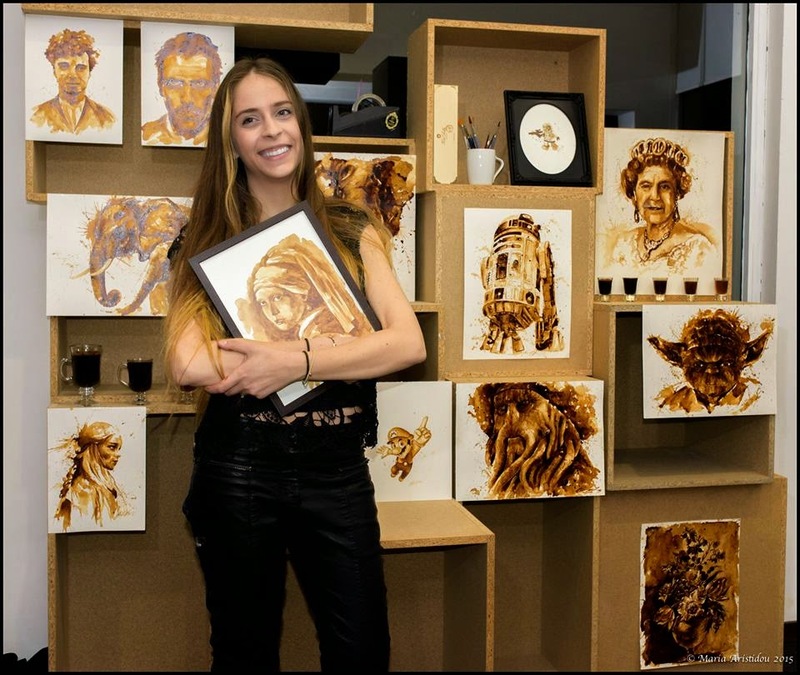 Inspired by pop culture, she visits with her art, films like Game of Thrones, Star Wars and Pirate of the Caribbean, Cartoons like Frozen, The little Mermaid and Minions, famous singers like Bob Marley and works of art like The Girl with a Pearl Earring. 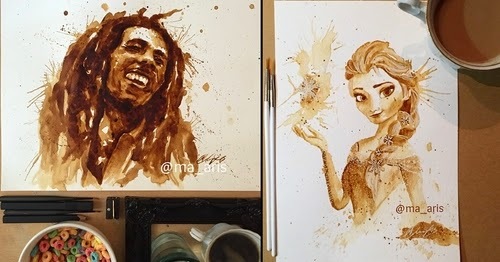 The three videos below show sped up painting work by Aristidou. 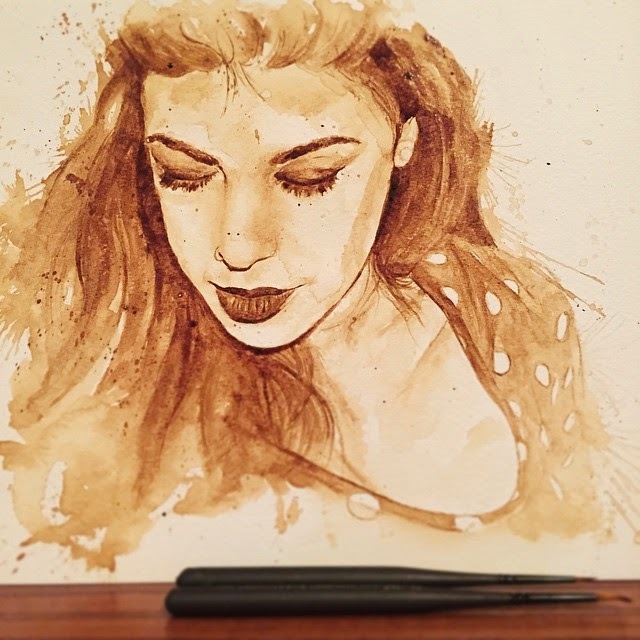 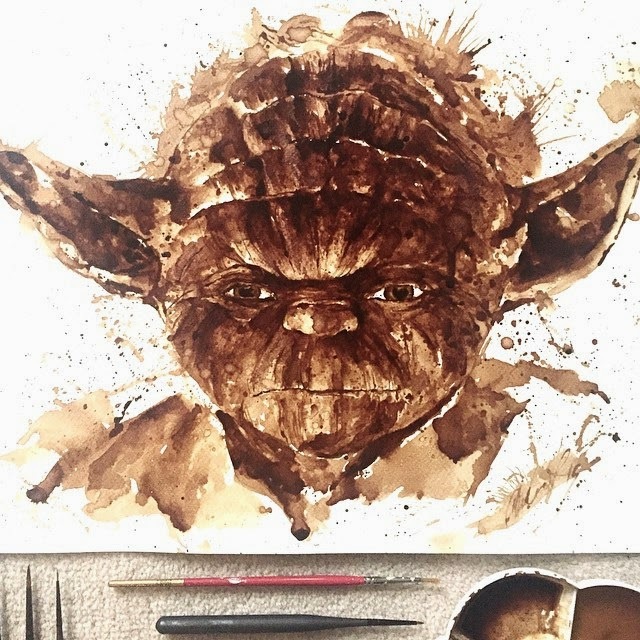 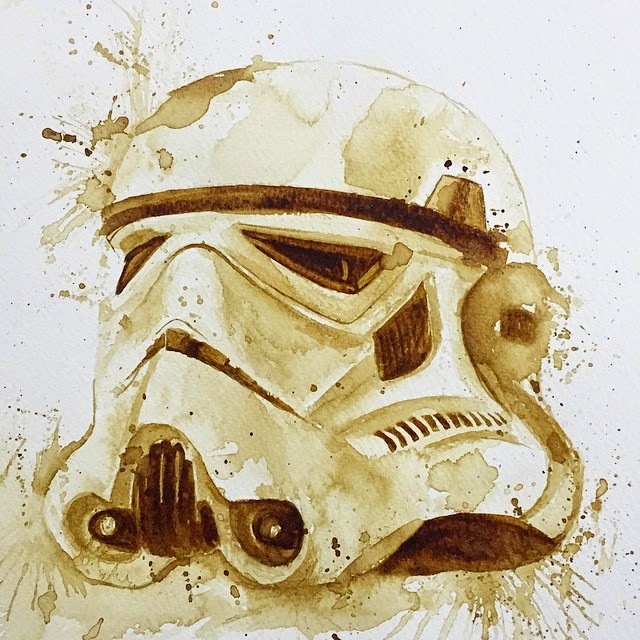 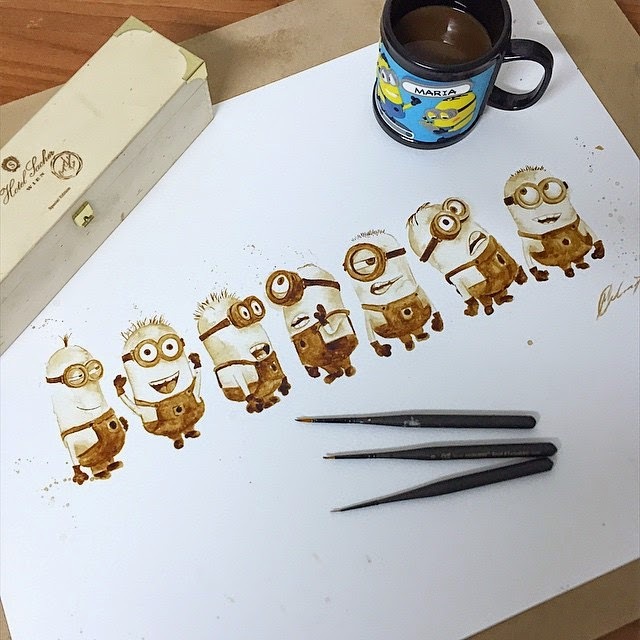 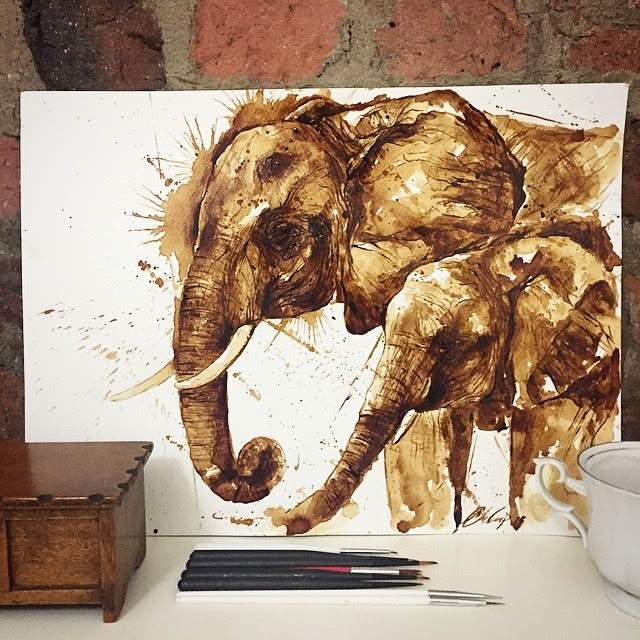 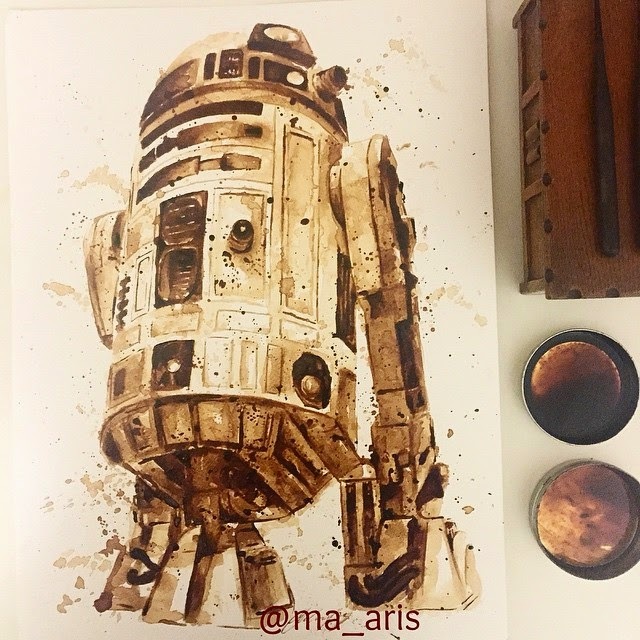 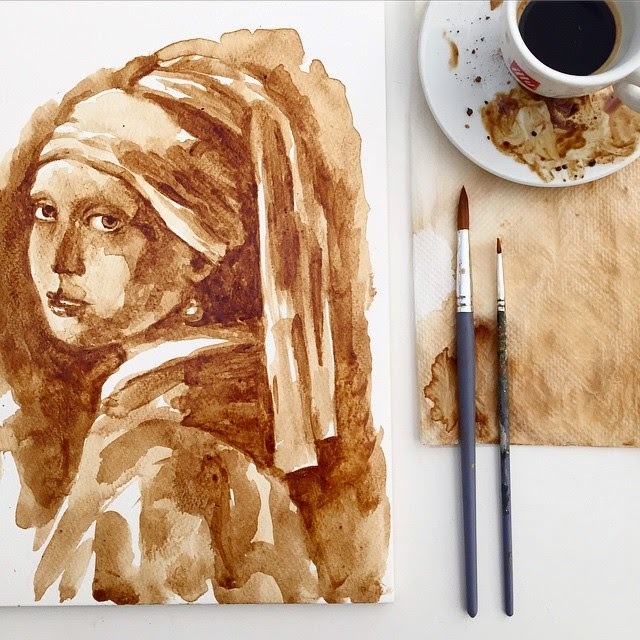 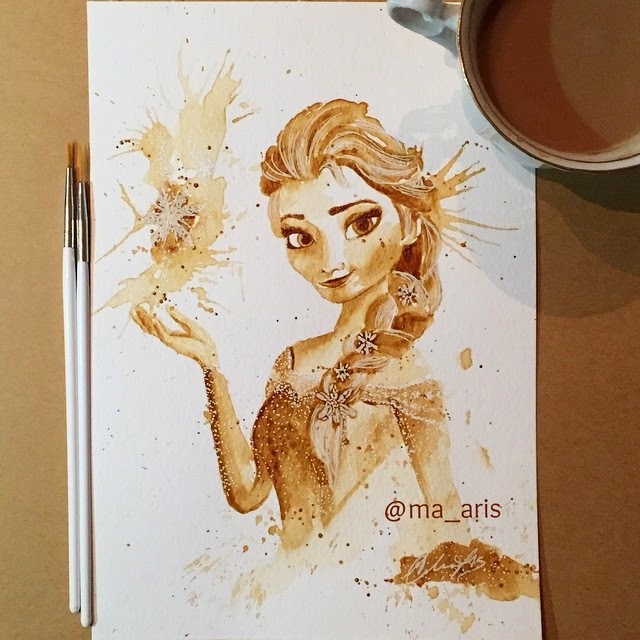 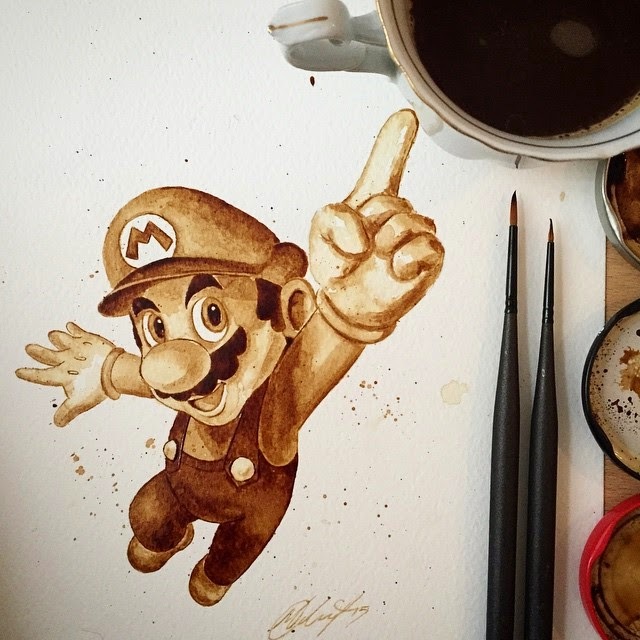 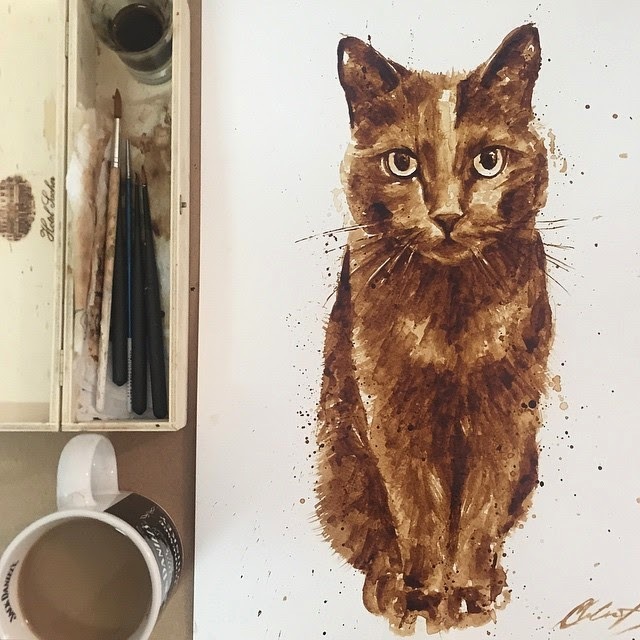 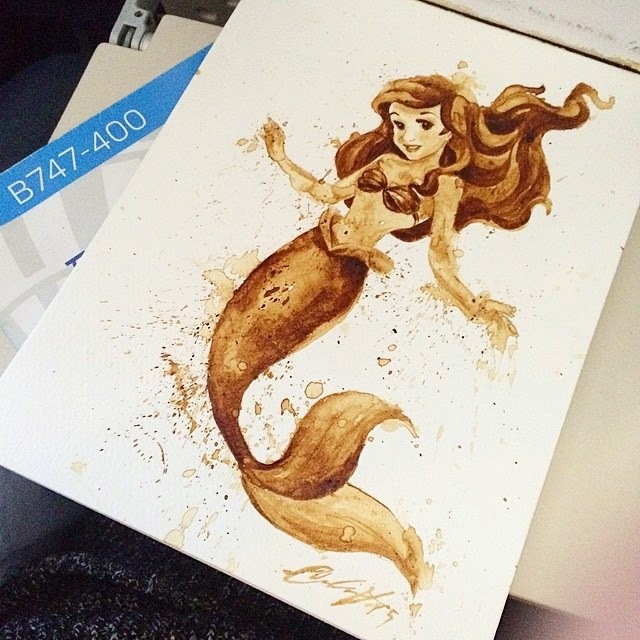 For more Coffee Art on DesignStack, have a look at the links at the end of the post. 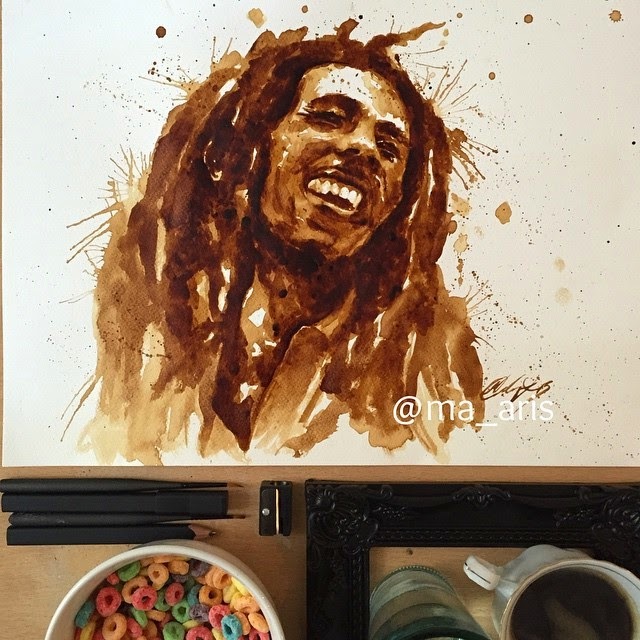 Yanis Varoufakis Painting Video (Greece's Finance Minister). 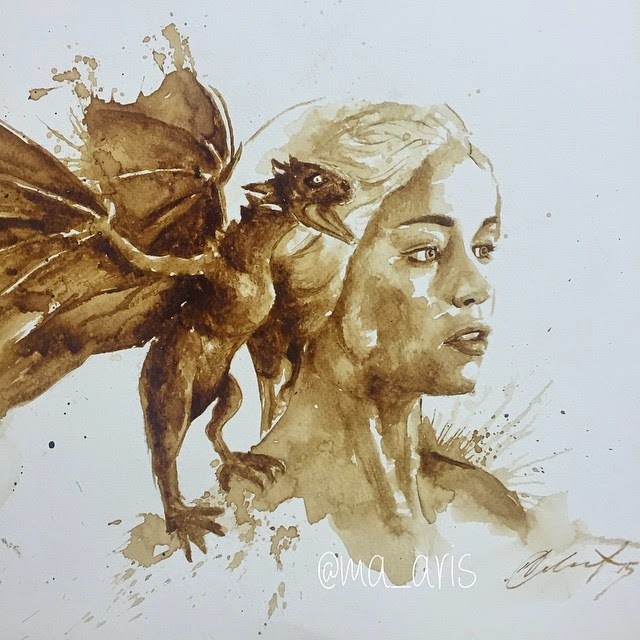 Emilia Clarke - Mother of Dragons - Khaleesi - Daenerys Targaryen - Game of Thrones GoT. 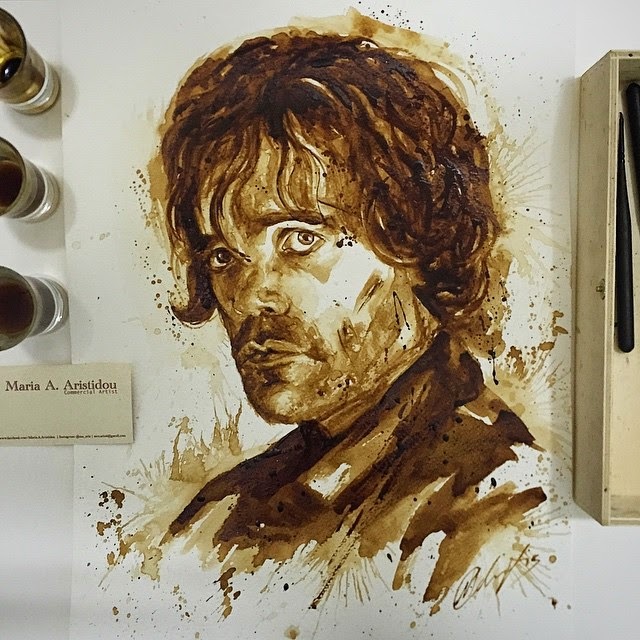 Peter Dinklage - Tyrion-Lannister - Game of Thrones. 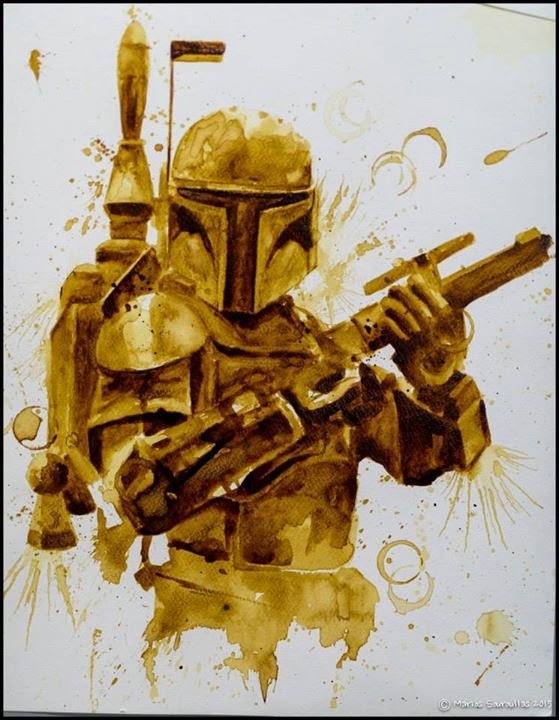 Boba Fett - Star Wars . 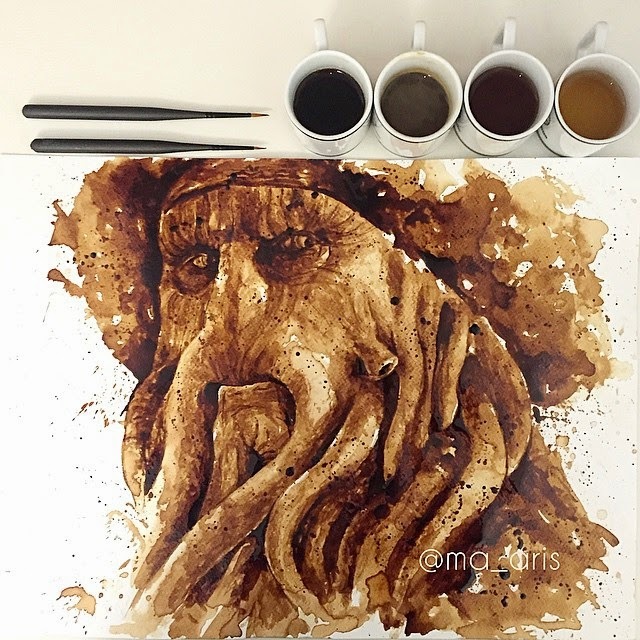 Davy Jones - Pirates of the Caribbean.